Meet Bright Leaf. If you don’t already know them they’re our sister company and specialists in all things VM. 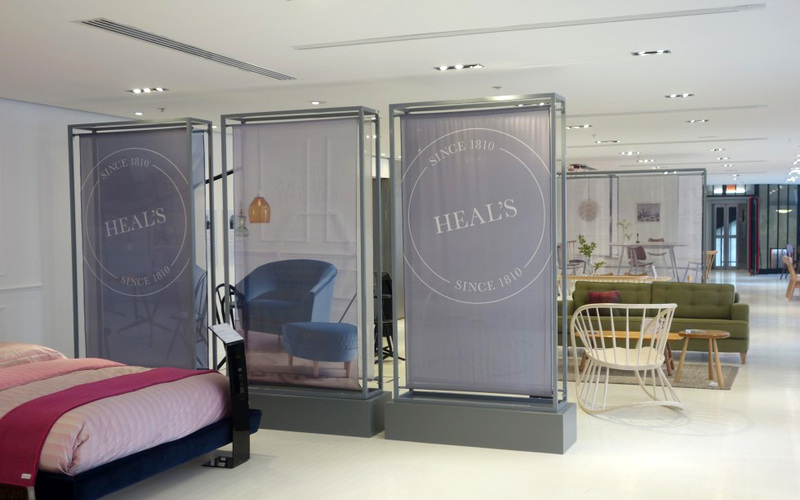 Being a great visual merchandising agency isn’t just about knowing your market, understanding clients and their audiences – it’s about bright ideas and creativity as well. All design, development and product manufacture is carried out at the Bright Leaf studio in central London. This helps to give clients a stress free solution to each campaign, project or event. Clients include Topman, Swarovski, Selfridges, TAG Heuer, House of Fraser, Heals and Uniqlo. And while Bright Leaf may have an enviable client list, they’re genuinely a very humble bunch too. To give you a taste of these offerings, here are a few recent Bright leaf projects. 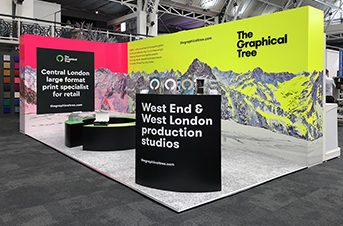 The Graphical Tree, of course, supports them in all graphic production. From decor design right through to table top floristry, Bright Leaf designed, produced and installed their Festival of Speed concepts paying particular attention to the brands iconic look. The 4 day event always required careful and meticulous planning to ensure everything was designed and installed efficiently. The designs were always stylish and informative whilst being true to the luxury brands ethos and image. 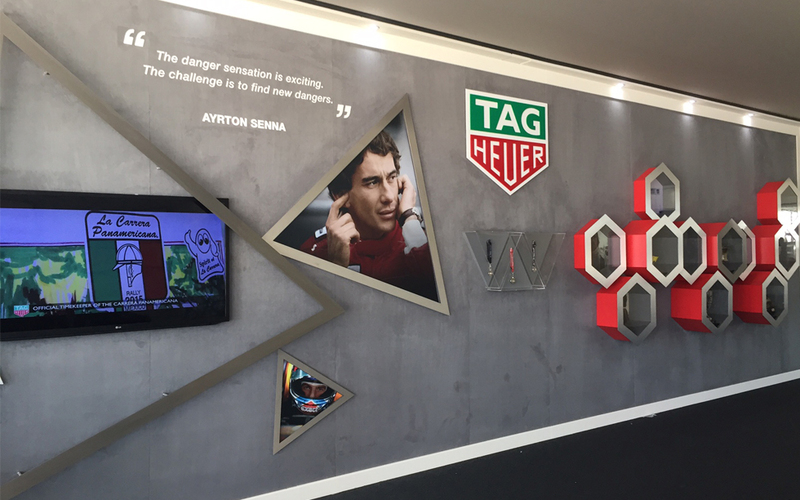 Bright Leaf worked on the event over the 3 years of TAG's involvement at Goodwood, the space of 400 square metres including the coveted Drivers Club and Pavilions. Following a meeting with the Roehampton Events team and a site visit, Bright Leaf proposed a kaleidoscope of colour which would sit next to the main stage during their Summer Ball. Running with the chosen summer theme of Willy Wonka and the Chocolate Factory they designed and proposed an outdoor area with a large 28′ yurt at it’s heart. 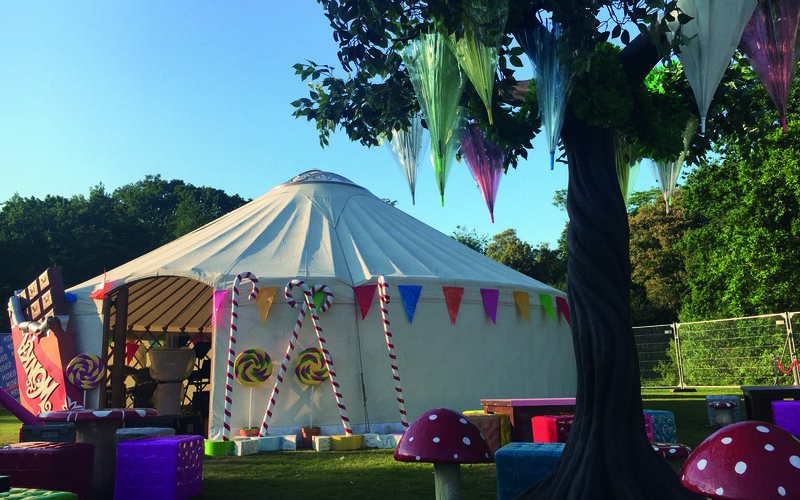 The VIP area included brightly coloured vinyl topped tables, bunting, lighting, shimmer walls for the two large bars, giant lollipops, various Willy Wonka themed props, over sixty bright umbrellas were hooked around the inside walls of the yurt - perfect in case the weather took a turn for the worse and even a 2.6m high enchanted tree. To enter the VIP area you walked through a bespoke timber VIP arch entrance surrounded by giant garlands topped with acrylic CNC cut purple letters. The area was given a red carpet feel using silver stanchion posts and ruby red ropes. 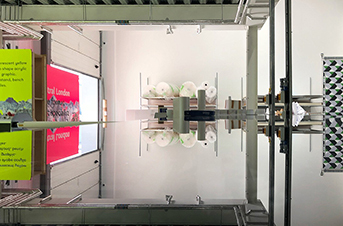 With a brief to create two new denim departments within the 6 floored flagship Uniqlo store on Oxford Street, Bright Leaf’s chosen theme to run through both areas comprised of fresh, white backdrops to allow each denim style to pop out. Carefully selected props and graphics complimented the many denim styles in the range. 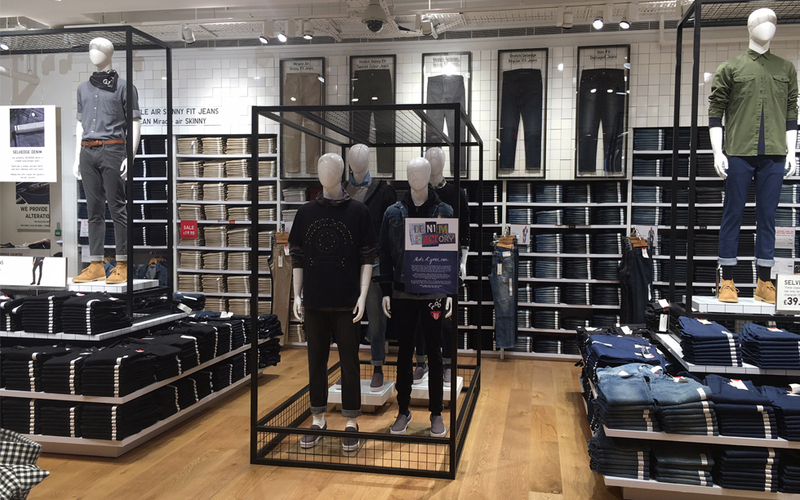 For the new look mens department they created a 10 metre high level perimeter facade using simple white tiles in varying thicknesses to give depth and add interest to the wall bays. 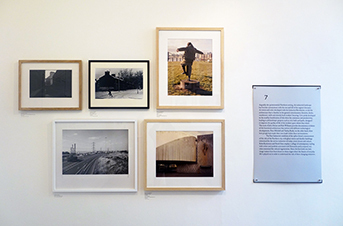 They then added bespoke metal frames finished in black to display the different denim styles giving a masculine, industrial feel. The women’s floor comprised of a clothes studio/workroom with white sprayed clothes making props and oversized cutting pattern graphics. In the wall bays Bright Leaf designed kinetic flip book metalwork to show garments in more detail for customers to view each style up close. 11-04-2019 Are you our next Pre-Production star?